Interior renovations can create a tremendous amount of dust and debris. Contractors and subcontractors can leave behind pieces of lumber, nails, tacks, drywall, insulation or other remnants of building materials. Many times, the property owner is left with dust and debris littering the interior environment, which makes it difficult to see the actual results of the renovation. Many times, property owners will attempt to handle the cleaning on their own. However, we have found that they simply do not get the same results as if they were to hire a professional. 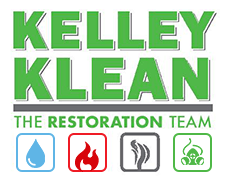 Kelley Klean is a full-service restoration company that can take on all types of post-construction cleaning projects. Not only can we handle the construction dust, but we have the proper certifications and licenses to dispose of all types of building materials, including hazardous items if necessary. We understand the proper way to clean post construction in all types of properties. Servicing the Columbia, Jefferson City, and Central Missouri areas, we are proud to be the contractor of choice in the Mid-Missouri area. Established in 1986, and nearly 30 years of experience, Kelley Klean has worked in thousands of residential, industrial and commercial properties. If you are interested in learning more about our storm damage services or would like a competitive estimate from one of our trained professionals, give us a call at 573-214-0990. There is so much more to post construction cleaning than one would think. In order to return the interior to its original cleanliness, it is essential to address every element of the building that is at times overlooked. That is why hiring a professional company could be a wise decision for your investment. When choosing Kelley Klean, we approach post-construction cleaning with a planned strategy. It may be tough to believe, but contractors typically do not remove the debris they create during the renovation process. That means you could be stuck with boards, lumber, scraps of metal, insulation and other types of garbage that you may not know the proper way to dispose of. At Kelley Klean, we have the expertise to properly dispose of any building material. Typically we will rent dumpsters and remove the debris quickly and professionally. After the large pieces such as trash and lumber are removed, we will address the sawdust, particulates, and dust present in the interior. Using specialized HEPA vacuums, we are able to capture fine particulates and appropriately clean the space. Cupboards and closets are areas that are often ignored but can collect massive amounts of construction dust. Our technicians will make sure to vacuum and clean the interiors and exteriors of all cupboards and closets. Walls and Ceilings hold a great amount of dust after new construction or a renovation. That is why at Kelley Klean, we take time to address these areas during our post-construction cleaning process. Windows can send a message to the cleanliness of your property. Regardless if you own a residential, commercial or industrial space, at Kelley Klean, we make sure to clean your windows during the post-construction process. Tall windows could require special equipment in which our competition does not offer. This would include scaffolding or heavy equipment such as scissor lifts or boom lifts. Our technicians will address both the interior and exterior of windows in order to give the most optimal result. Many of our competitors do not address the windows in their services which is something that has set us apart in the marketplace. Need Help Cleaning Your Renovation Post Construction? If you have just completed a costly renovation, it could be worth your investment to hire a professional to address the cleaning process. Professionals have the proper equipment, experience to get the job done quickly and correctly, and can take one more task off your to-do list. Kelly Klean was established in 1986 and we understand the sense of urgency to clear any debris, board up any openings and restore any damage that your property may withstand. The contractor of choice in Mid-Missouri, we service the Columbia, Jefferson City, and Central Missouri areas. Our office staff is on-hand to answer any questions you may have or can provide a quick and accurate estimate if you would like to see what it would take to clean your construction site appropriately. If you would like to speak with one of our trained professionals, give us a call at 573-214-0990!